Warning: This book contains a woman dreaming of a life she can never have, a hero who's convinced he'll never find the one woman destined to be his and a love so powerful nothing can stop it. Steamy and adventurous, fans of Julia Quinn and Johanna Lindsey won't want to miss out on this upstairs/downstairs romance! Scroll up to One-Click your copy today! This was a fun story with a very interesting beginning. I loved Gillian's loyalty to her friend, braving danger to protect her. Her honesty was also endearing as she struggled with when and how to admit to her past. I found this a grittier look at that time period. James was a sweetheart and wanted his heart's desire no matter what. The narration by Carolyn Morris kept me listening as well. 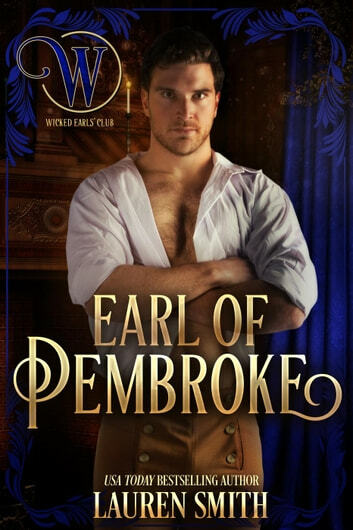 I highly recommend this story, and I look forward to reading all the Wicked Earls. I received a copy of this audiobook as a gift, and this is my unsolicited review. Big Sigh as I turned the last page. A wonderfully crafted story that will make your heart smile. Gillian Beaumont, is a lady's maid to her friend and employer Audrey Sheridan. She was born the illegitimate daughter of the Earl of Morrey and had little options to support herself when he and her mother passed away. She is very intelligent, beautiful and knows her station in life or what it has to be. But as fate would have it, she meets the very handsome, goodhearted Earl of Pembroke, James Fordyce. James does not realize who she is and only knows her name. Sparks fly and their meeting is magical but she disappears and James is determined to find her. James a member of the Wicked Earls' Club, is really part of the club just to get away from his sadness due to the illness of his mother. What follows as James searches for Gillian is an intriguing next meeting and several twist and turns until they are back together. This story is so very romantic and emotional that you will be sighing as I said at the beginning until the last page. You can never go wrong with a story by Lauren Smith and this one is no exception! !